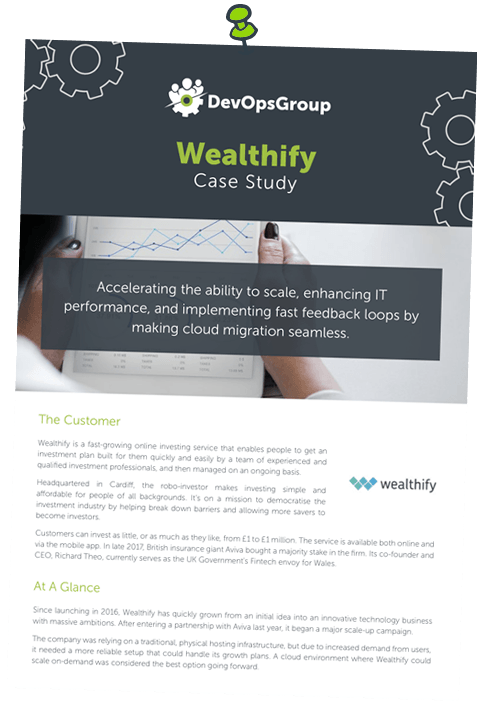 High performance IT in rapidly scaling business. In this white paper, we explain how leadership is paramount in scaling a business. As a business leader, you must build the right team whilst aligning, optimising and investing in the systems that underpin sustainable growth. Mistakes are to be expected, but you can minimise the blast radius by taking a “fail fast, fail safe” DevOps mindset. To help facilitate informed decision making, we explore critical considerations for CTOs in a scaling business. These include the move from start-up to scale-up and critical factors to optimise sustainable growth, such as culture, repaying technical debt, operations and agility. Transitioning from a start-up to a scale-up is an exciting and challenging feat. Succeeding here will set your business on the course to victory. But there are opposing forces that can stall growth. For example, how do you manage risk while retaining agility, or maintain your unique organisational culture while formalising standards and procedures? In this white paper, we explain how leadership is paramount in scaling a business. As a business leader, you must build the right team while aligning, optimising and investing in the systems that underpin sustainable growth. Mistakes are to be expected, but you can minimise the blast radius by taking a “fail fast, fail safe” DevOps mindset. We provide practical and tangible solutions that deliver rapid and significant value. Over the past few years, we’ve worked with more than 80 organisations – including household names like Admiral, Vodafone, BAE Systems, the DVLA and Waitrose. Check out our case studies section to find out how we’ve helped them. Want to see who else we work with? Visit our Clients page. DevOpsGroup are experts in delivering practical engineering & consultancy solutions to transform and accelerate the way that organisations deliver software. We believe that DevOps offers a new operating model for IT departments to deliver software at speed. This enables innovation which drives competitive advantage. Our solutions are proven to achieve greater customer engagement and unlock new revenue streams, by accelerating software delivery capability across Digital Transformation initiatives. [fa icon="caret-right"] What is DevOps?